Day 5 at Deadwater. 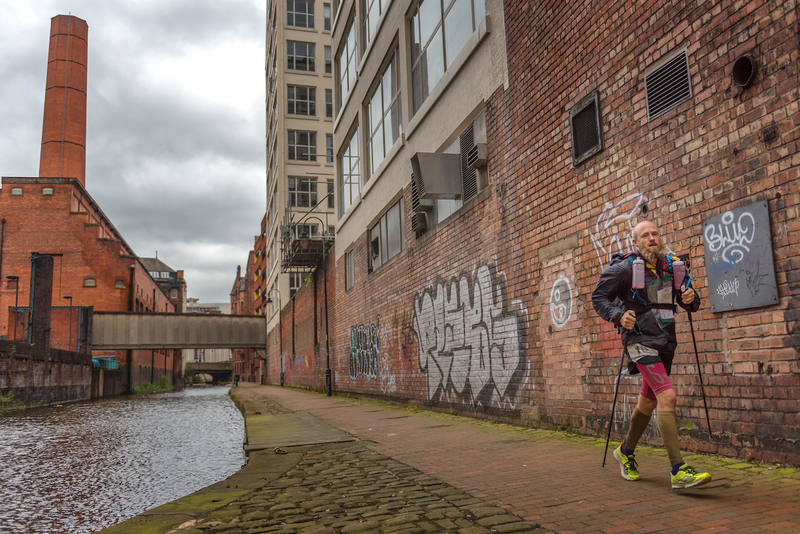 After a very long day yesterday, with the last competitor finishing at around 7am, today’s route took runners through the centre of Manchester. A flat runnable stage with the urban environment being a huge contrast to the pennine moors. Tomorrow the finish line awaits. One glance at the elevation profile below, and you might think you are in for an easy ride. Take it from us, you are not. The contrast from all the hills in the last few days, will be jarring. Why, because it’s canal hell day! It’s all flat, surely it’s easy? Well, some of your muscle groups are going to get a rest today, but others will be tested to their limit. Essentially there is no relief for 30 miles. If you haven’t run a long way on a canal before, then go out and try it. It’s not easy. This day may be feared more than the long day for some of you. You’ll join the Rochdale canal after 1.5 miles. It’s a world away form the remote and rugged moors of of the last few days, you head right into the heart of Manchester along the waterways. You’ll go right into the centre of the city onto the Bridgewater Canal, and right past Old Trafford, Manchester united’s ground. You’ll then head out to Altrincham before leaving the canal to join the Pennine Trail and the split away to the outskirts of Warrington to Hollybank campsite, the final campsite.